Mountain Surround is truly a prize recreational-residential property in an amazing setting! 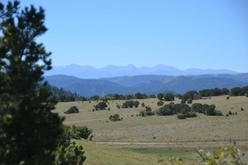 From one of several build sites, you have astounding views of the Pikes Peak, Sangre De Cristo and Collegiate Peak Mountain Ranges! Other views include Cap Rock, Big Baldy, Delilah Peak, Thompson and Rice Mountains, unique rock outcroppings and lush valleys. 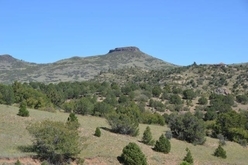 Its topography is rolling, sloping native grassland (suitable for grazing) with frequent stands of pinon pine and gamble oak along with scattered Ponderosa Pine. Set in a quiet ranch community just a few miles from paved county roads, it has an easy commute for work, business, pleasure or building venues. Partial fencing and underground electric and phone are at its boundary lines to help make that dream home or cabin a reality. Here, it is easy to imagine a laid-back lifestyle, sunrises and sunsets, lazy days of blue skies and night skies filled with stars and laughter. Thousands of acres of BLM recreational lands are minutes away. 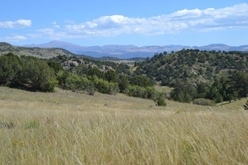 Located approximately 30 minutes from Canon City, you can explore nearby recreation such as fly-fishing and river rafting on the Arkansas River, skiing in Monarch, hiking, hunting, riding in nearby public lands; or, other activities: antiquing in quaint mountain towns, small stakes gaming, melodramas, dinosaur museums, historic tours, casual to fine dining. The diversity of the region creates a lot of opportunities for fun – no matter what time of year or the ages of your family or friends. Mountain Surround offers a peaceful place for you to unwind and live simply - enjoy all it has to offer!